Are you ready for October 21, 2015? That’s the date that Marty McFly arrives in the future — at least according to the second Back to the Future movie. But if you’re planning on watching the trilogy to celebrate, you’ll only have one streaming option: Amazon Prime. 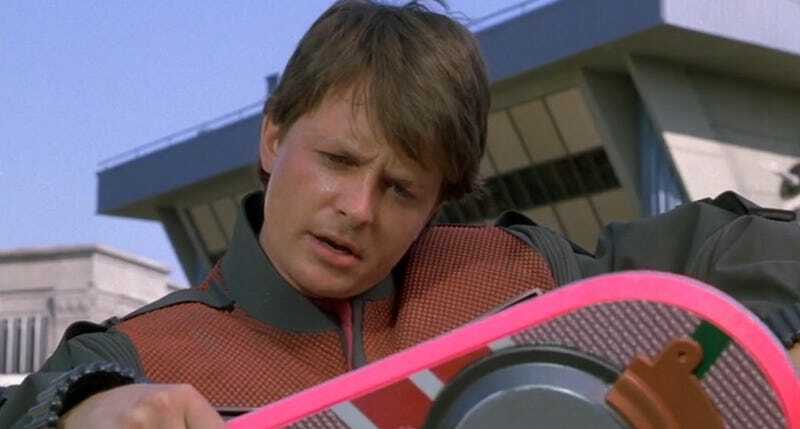 Starting October 1st, Amazon has the exclusive rights to stream the Back to the Future trilogy. And it’ll stay that way throughout the entire month. No Netflix, no Hulu, and certainly no Crackle. As The Hollywood Reporter notes, it’s the first time that the entire trilogy has been on one service together without rental fees. Of course, you can still purchase the movie digitally through places like iTunes. So if you’re planning on having a big party on October 21, 2015 (or watching it alone while eating an entire pizza) you better plan accordingly. Sure, you might own the DVD set, or even know how to find digital copies of the film that fell off a truck, but if streaming is your game, you better have Amazon Prime. Or I guess you could go outside and watch it in the theater, since the trilogy is getting re-released theatrically. But who wants to leave their house?